My cousin introduced me to Shauna Niequist when we were in college. I devoured Cold Tangerines and then eagerly awaited Bittersweet. It’s difficult not to be enveloped by her voice; it’s like having coffee with a long lost pal. Conversation runs deep, touching at the most vulnerable parts of your soul without feeling invasive. Reading Shauna’s books is both inspiring and convicting, sacred and authentic. All of them are a pleasure to digest. For the next eight weeks, a friend and I are hosting a small group to digest Shauna’s latest book, Bread and Wine. The book is truly meant to be devoured – physically (the recipes are wonderful) and emotionally/spiritually. There’s a great little discussion guide included in the back, but Bread and Wine is much meatier than space allowed for that guide. As I began to read Bread and Wine for the second time, I couldn’t stop the “ooo, I’d like to discuss this and ask someone that” type thoughts running through my head. I realize not everyone loves to dissect their reading material, trolling for discussion topics. However, I DO! Since Bread and Wine is such a fantastic book to chat about with a group or reflect on by yourself, I wanted to share my expanded discussion guide thoughts with you all. 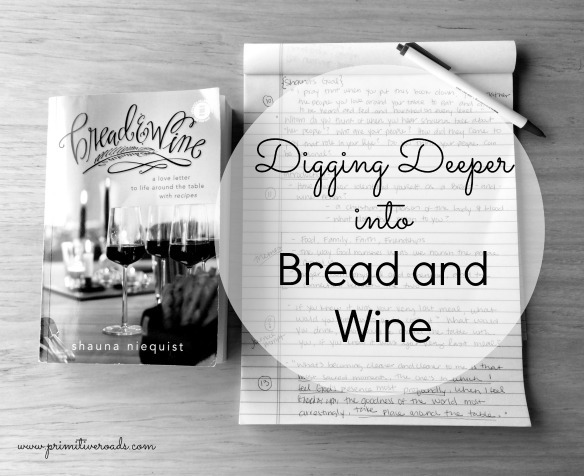 I hope they inspire you to dig deeper into the themes and topics found in Bread and Wine and that maybe they give you the confidence to grab a group of gals to dig deeper with you! I’ll be posting these (as PDFs) once a week (ish) along with some other resources to complement that particular portion of the book. Today, we’re starting with the introduction. Have you read Bread and Wine? What helped you to dig deeper? The Power of The Living Room – a sermon Shauna gave at Willow Creek Community Church about many of the same themes found in Bread and Wine. Disclosure : Amazon Affiliate links included in this post. If you click through to Amazon, any purchase you make supports Primitive Roads. I have all of her books on my to-read list but haven’t read any yet. I need to bump them up! I love your discussion questions, Em’! 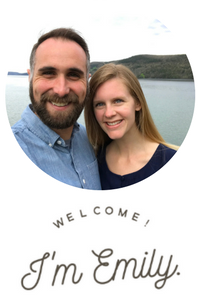 Ü They are super inspiring and really make me wish I could make a weekly journey and participate in your Bread and Wine group!! I have enjoyed the book and your meatier discussion questions for the intro and part one — I am very interested in your questions for parts 2-4 – are they available. I would greatly appreciate your assistance at your convenience.